China is now not only Vietnam’s largest trade partner but also its largest foreign investor as it poured US$723.1 million into the country in the first quarter of the year, according to the General Statistics Office. At a workshop held on April 11 on the country’s macroeconomic performance in the first quarter, Pham The Anh, head of the Vietnam Institute for Economic and Policy Research’s Faculty of Economics, said that China had injected more capital into Vietnam to mitigate effects of its trade tensions with the United States and to benefit from the new-generation free trade agreements (FTAs) to which Vietnam is a party, such as the Comprehensive and Progressive Agreement for Trans-Pacific Partnership and the forthcoming European Union-Vietnam FTA. China’s foreign direct investment (FDI) will help Vietnam develop its economy. However, FDI flows from China could do more harm than good, Anh added. Specifically, the influx of Chinese enterprises into the country will put pressure on local firms. If local companies’ competitiveness is weak, they may lose opportunities ushered in by FTAs to their rivals from the northern neighbor. In addition, Vietnam’s requirements on environmental protection for foreign investors are not as strict as those of other countries. Vietnam may face a greater trade deficit with China as Chinese companies tend to send their products from China to Vietnam before shipping them on to other countries, Anh said, proposing tighter control over Chinese laborers coming to Vietnam also. Many other experts also voiced their concern over the surge in FDI from China, as Vietnam may become a transit point for Chinese goods to enter third countries. 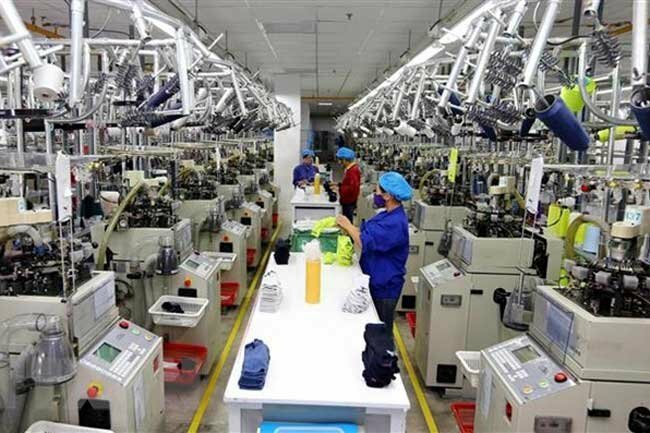 Chinese firms may attach made-in-Vietnam labels to their products, putting Vietnamese products in danger of anti-dumping and antisubsidy duties or stricter import controls. Therefore, the country should review and amend any unreasonable incentives for foreign investors to ensure fairness for domestic enterprises. In the first three months of the year, foreign investors registered a total of US$5.1 billion for new and operational projects in Vietnam, surging 30.9% year-on-year, showed statistics from the General Statistics Office.